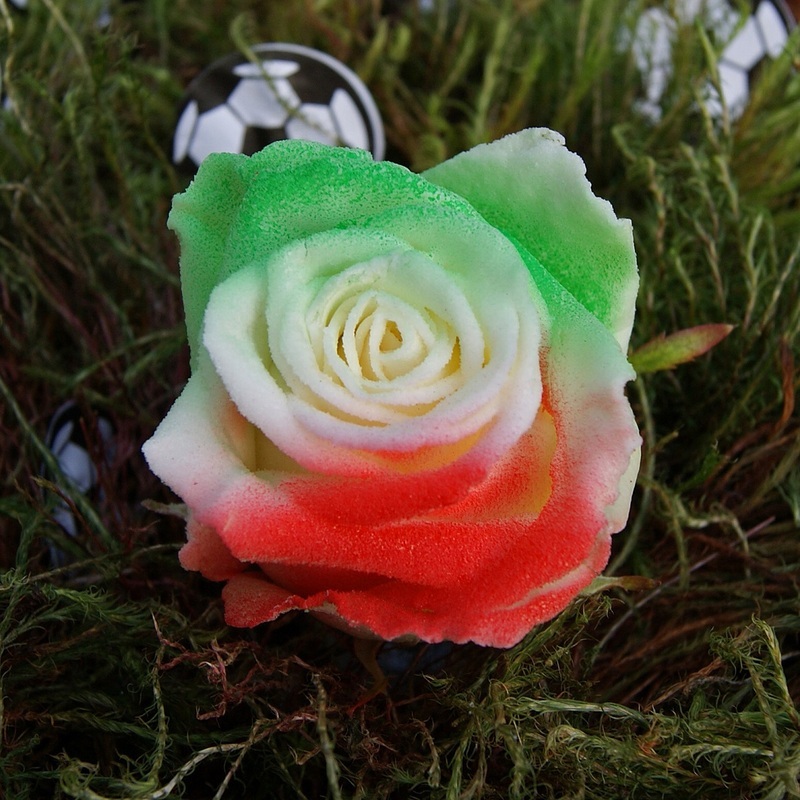 In the past I have posted about dyed plants and sprayed succulents but even I was not prepared for some cut roses being shipped from the Netherlands for the delectation of flower arrangers who are not content with the commonly available flowers and with plaiting and twisting their own foliage. 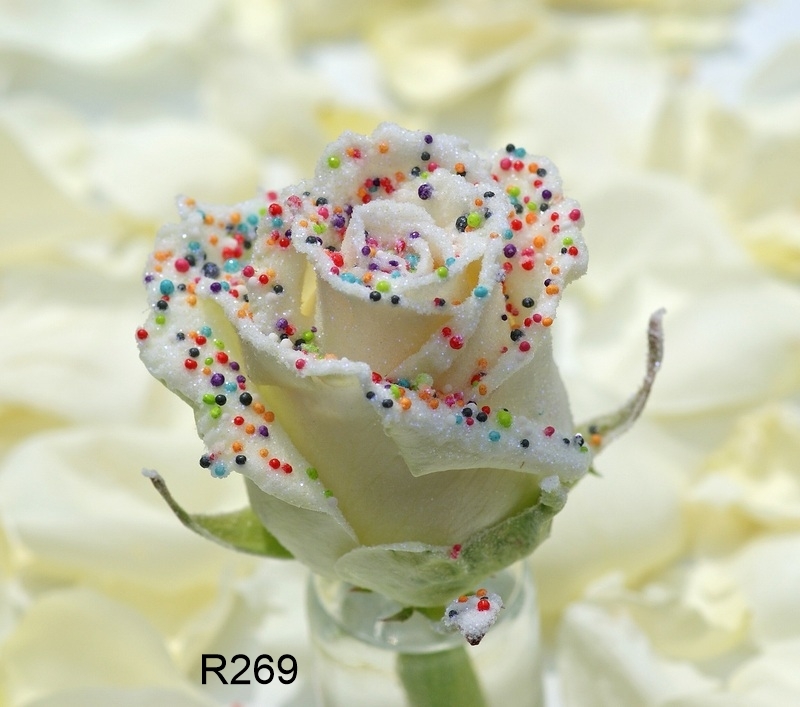 The range of cut flower roses ‘created’ by Viproses is truly astonishing. I suspect they cost a lot more than your average roses and will only be available in ‘high class’ florists. Don’t bother looking for these at your local petrol station. 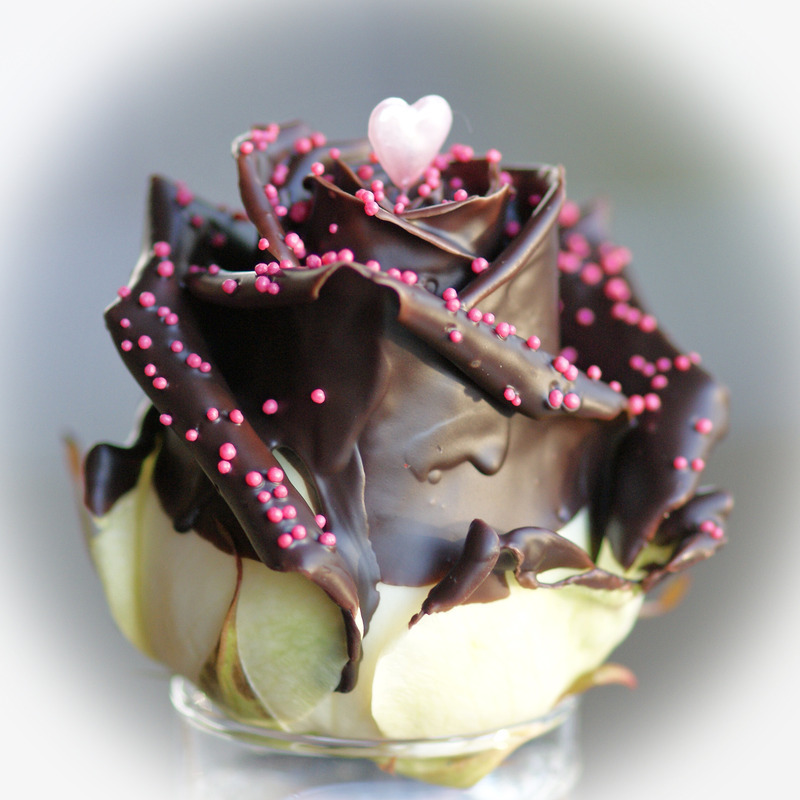 First comes the ‘Choco toppings’ which are roses variously drizzled or dipped in brown wax that is scented of chocolate. Oh and you can have sprinkles too. You may want something more subtle – how about this ‘pearl toppings’ offering? Got a power cut? 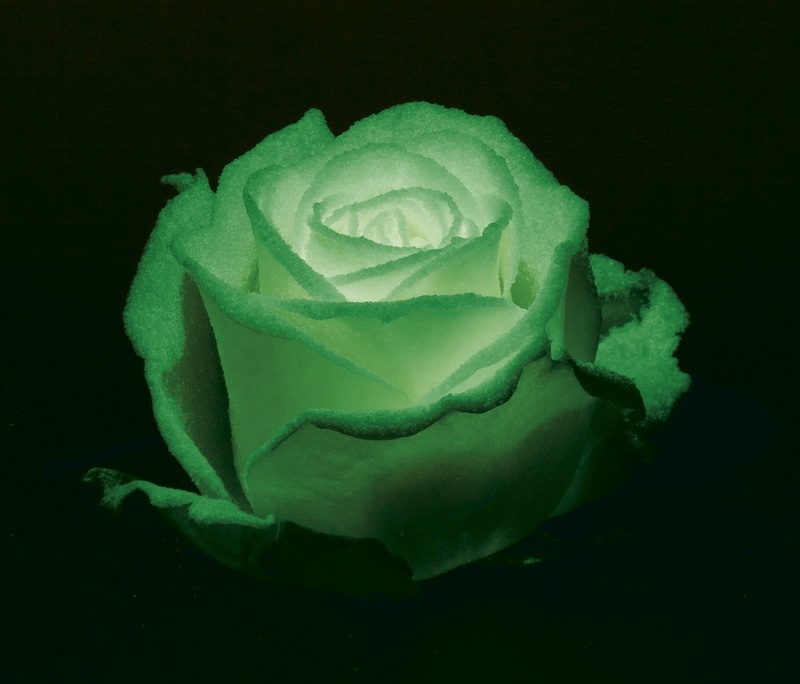 Well you need a ‘glow-in-the-dark’ rose, sprayed with something that stops you stumbling into your flower arrangements at night. Italy. 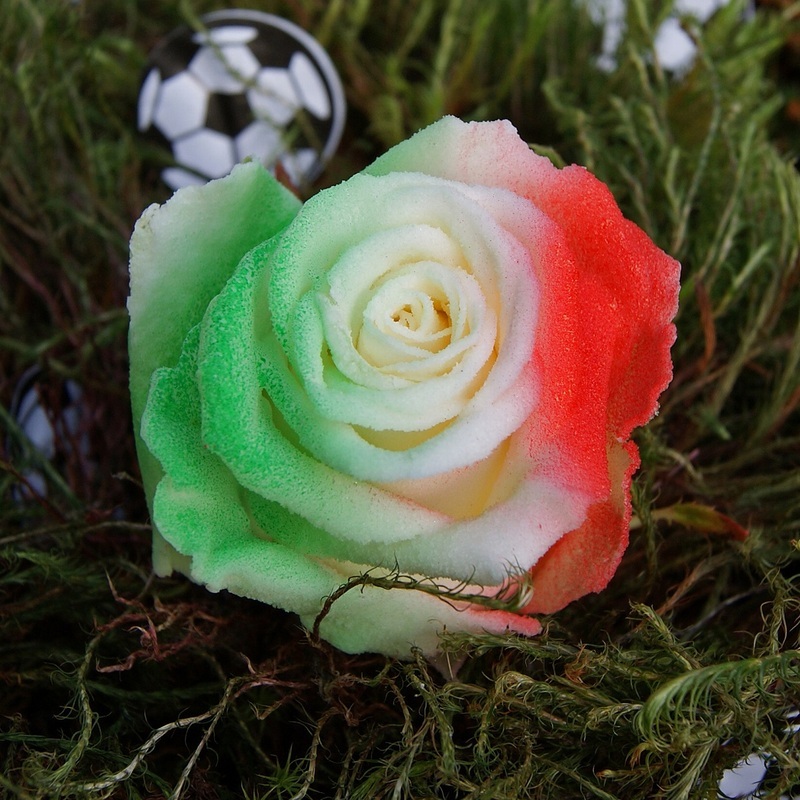 Put your roses in on the skew and you could start a war. I am sure I do not need to say what I think about these. A gilded Lily would be more tasteful. Good God, where is PETR? !